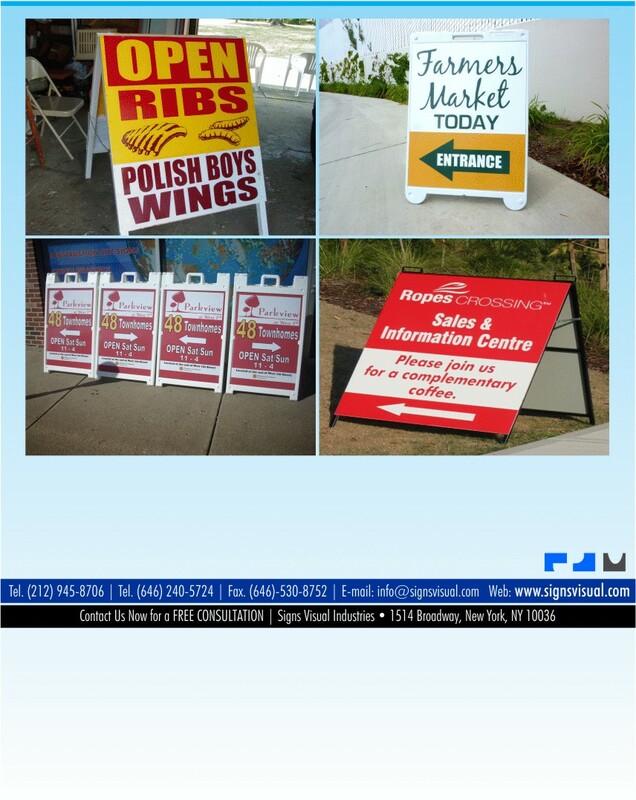 Signs Visual fabricates standard and custom sidewalk stand signage in New York City. Our sidewalk stands are an A-Frame structure in either anodized black aluminum or white plastic and feature double sided faces and graphics. The graphics are printed onto a soft yet rigid pvc plastic or coroplast board and inserted into the frame faces. These sidewalk A-frame stand signs are great for capturing potential walk-in client and gathering interest in your community. Contact us today for sidewalk stands in NYC!